FLIR's A325sc infrared cameras transition seamlessly from the research lab to the production line with multiple optic options, available data recording and analysis software and simple Gigabit Ethernet connectivity. With a 320 x 240 pixel resolution and spectral range of 7.5 µm -13.0 µm the A325sc Series is an affordable and flexible option for real-time thermal analysis in applications including predictive and preventive maintenance, research and development and manufacturing process control. The A325sc is designed from the ground up to deliver the accurate thermographic imaging and repeatable temperature measurement necessary in research and science applications. Each thermal image is built from over 76,000 individual picture elements that are sampled by the camera’s on-board electronics and firmware. 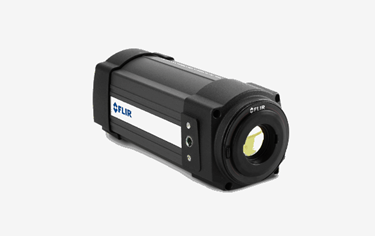 For additional features and specifications, download the above datasheet, or visit the FLIR A325sc page.